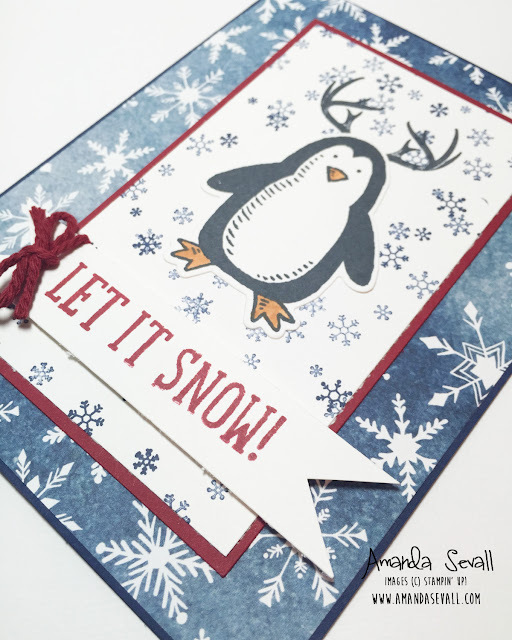 Amanda Sevall Designs: 365 Cards: Let it Snow!! Welcome to another JAX Starz Blog Hop! This month our challenge is a sketch challenge! I saw more than a few cards where people put antlers on the penquin and... well... I just couldn't resist! 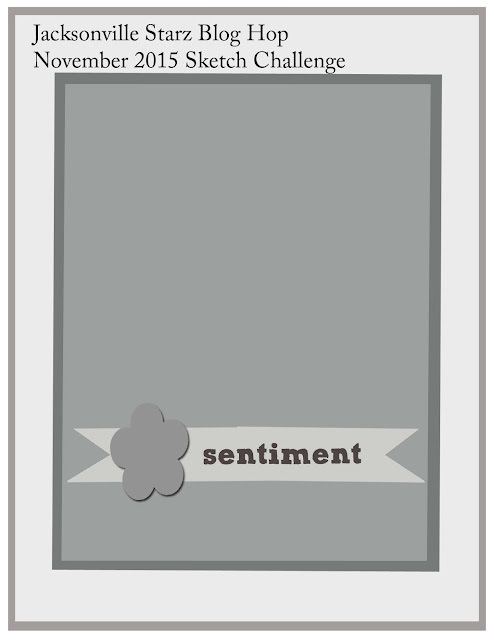 It's a fun sketch, so if you decide to use it, I hope you'll share the card you made with me! Repeating elements. 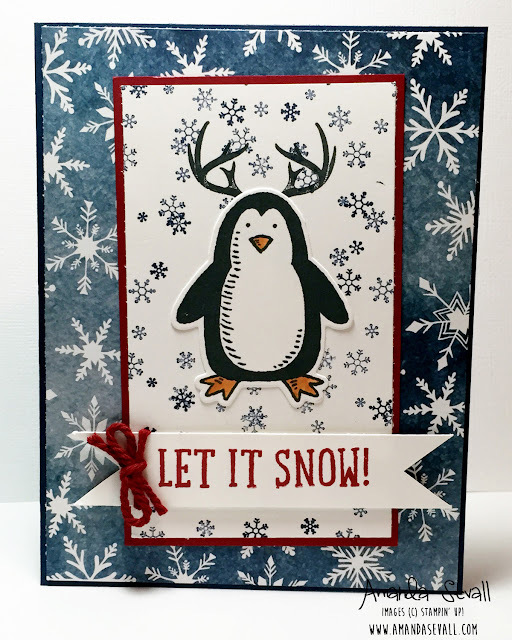 When I first started making this card, I did not have any snowflakes stamped on the white paper behind my little penguin guy and it looked empty. So I looked to the patterned paper that I was using as my background and repeated the snowflakes on my white cardstock by reversing the colors -- the patterned paper was Night of Navy blue with white snowflakes so I stamped my white background with Night of Navy snowflakes! It really gives the card a fun look. Pop of Color. So I needed some contrast on my card... there was lots of dark colors with the blue and black. So I added the Cherry Cobbler to really make the sentiment stand out and frame my penguin! It's always a good idea to add some pops of color to your cards. Super cute Amanda. Love that little Penguin. Cute! Yours is the first antlered penguin I've ever seen. So cute Amanda! I haven't seen any antlered penguins yet-fun!